Plastic milk jugs can be turned into garden cloches, plastic and scrap lumber are also great for larger scale protection of garden rows during a frost. 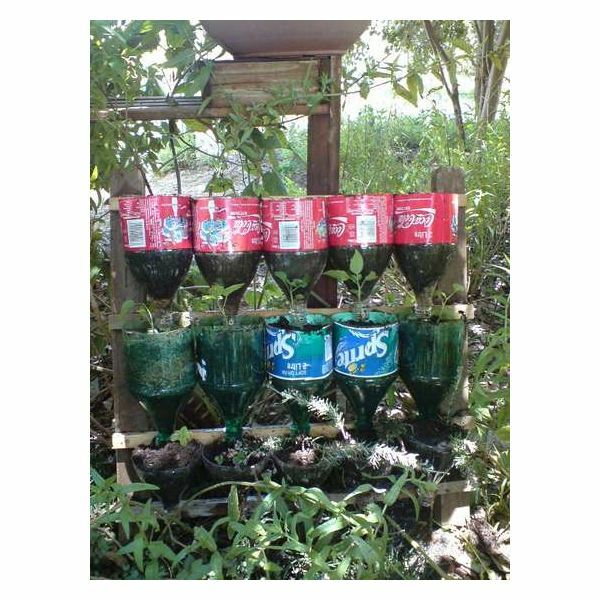 Pop bottles and milk containers also provide pots for growing in small spaces or sources of drip irrigation for traditional gardens. 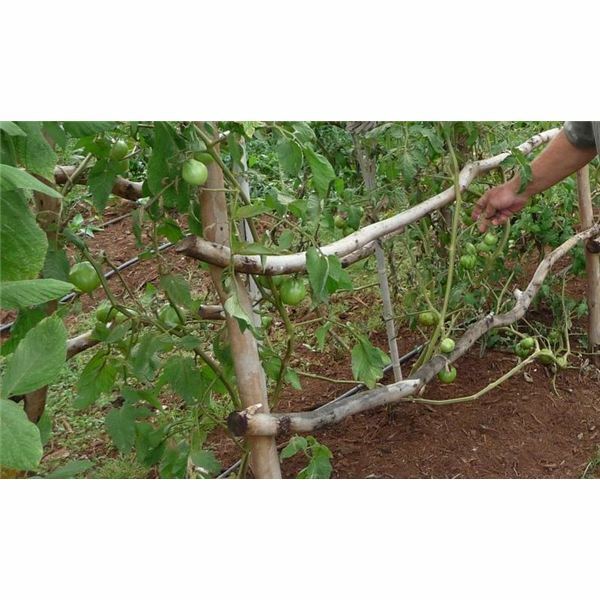 Trellises can be constructed of many repurposed household items giving vines a place to climb and allowing garden soil to be utilized more productively. In early spring, garden plants need protection from frost. Objects used to protect the plants are often referred to as garden cloches. Pop bottles, milk jugs, ice cream buckets and other plastic containers make ideal repurposed items to make a cloche. The plastic needs to be clear to allow sunlight to shine though, while keeping frost off. Simply cut the tops off large 2-liter pop bottles or milk jugs. Turn the plastic containers over and gently tap the open end into the ground to protect individual garden plants. In addition to using these containers as cloches, try repurposing them for container gardening. Simply cut the tops off the milk jugs and plastic 2-liter pop bottles to be repurposed. Fill the containers with dirt and use them on a patio to grow a garden. Wood, pipes and metal rods make ideal repurposed items for constructing larger protection from frost. Use the items to construct large frames. Cover these frames with clear sheets of repurposed plastic to protect entire rows of garden plants at one time. Another way to repurpose wood, pipes or metal rods is to use them to create a trellis. Vines, such as squash, cucumbers, and melons, need something to climb to conserve valuable garden space. Repurposing cardboard for the garden is helpful when weeds get out of hand. Cardboard makes an excellent weed block. Break down cardboard boxes and use garden staples to tack the cardboard down in rows to create walking paths through the garden rows. Lighter cardboard or paper bags can also be used for blocking weeds and can be used around plants as long as the roots are still able to receive a sufficient amount of water. Don’t crowd the plants with the weedblock if the water cannot penetrate it. Many gardeners also shred paper and use this as mulch. Paper works well as mulch and because it is biodegradable, it eventually breaks down and becomes part of the soil. Brown paper bags tend to be more visually appealing as garden mulch than white paper. When mulching with paper wet it down immediately to prevent it from blowing away. Small plastic and paper containers can be used for starting seeds indoors. Repurposing yogurt containers, egg cartons, and toilet paper rolls provides perfect containers for holding soil and starting small plants from seeds. Fill the containers with soil. Add 2-3 seeds to each container to ensure that one plant germinates in each container. Set the seeds in a sunny window and keep the soil damp, but not soggy, until the seeds germinate. 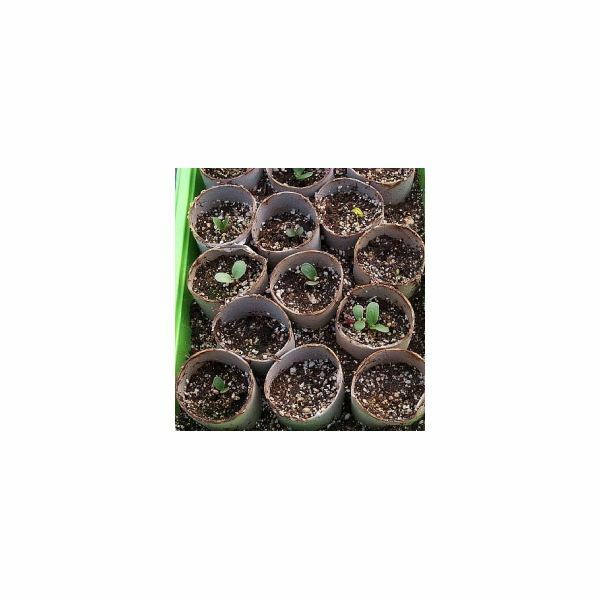 After several weeks have passed, thin the small seedlings down to one plant per container. After the danger of frost has past, the plants can be transplanted to the outdoor garden. 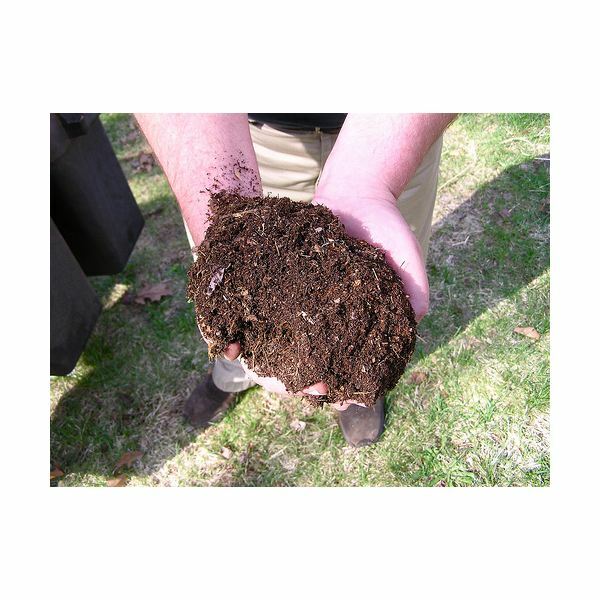 Composting is one of the most valuable methods of repurposing for the garden. Recycling kitchen scraps from fresh, raw produce and other plant materials, such as grass clipping from the garden can provide valuable nutrients for the garden soil. The simplest way to compost is to place produce scraps, leaves and grass clippings directly in the garden area. You can bury them if you wish. Worms will come to the area and do their job to help the plant materials decompose. Another option is to set up a bin, or bucket with a small amount of dirt. Holes should be drilled in the bottom. Add red wiggler worms to the dirt. These are common fishing worms and can usually be found in a lawn after it rains. Place the plant materials in the dirt. If the compost bin is not in an area where it receives occasional moisture from rain, the soil will need to be dampened occasionally. Use the compost to fertilize soil in the garden. We don’t often think of planting seeds, or reusing rainwater as repurposing, but it has become so very common to discard these natural resources. Each day we consume produce and typically discard the seeds. 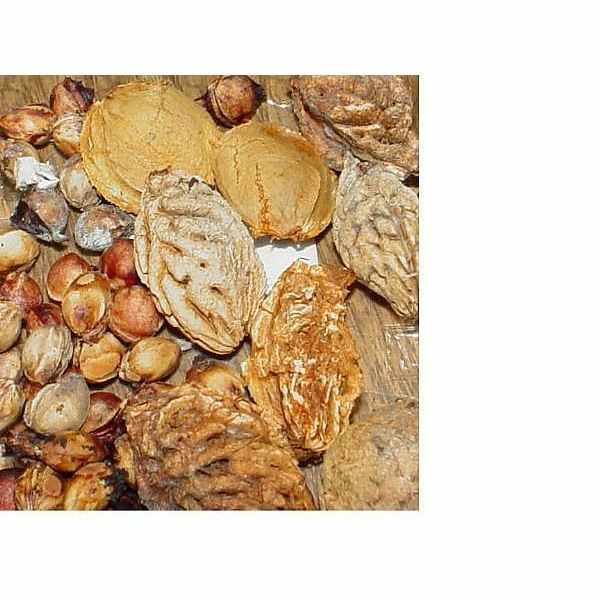 Most fruits and vegetables contain seeds that can be put to use in next year’s garden. Nature provides everything needed to grow fruits and vegetables. Experienced gardeners know that by selecting seeds from the tastiest tomato or the earliest ear of corn, they can encourage those traits in next year’s crops. Save seeds from produce by washing them and allowing them to dry in a sunny window. Store them in the freezer throughout the winter. Germinate them in the spring. Water is a precious natural resource that can be conserved by recycling rainwater from the gutters. This ensures the gardens survival through dry spells. Barrels, unwanted plastic storage bins, and old trash containers can all be repurposed for storing rainwater collected from gutters and down spouts. Repurposing for the garden is not hard, gardeners just need to become creative with the resources they have at home.